Changes to the vehicle excise duty (VED) regime have been announced as part of the 2016 Budget. Marking the first all-Conservative Budget since 1996, George Osborne announced on Wednesday (8 July) that there would be a new VED banding system for cars registered on or after 1 April 2017. Under the changes revealed by the Chancellor, three-quarters of new cars will pay no road tax in their first year. Mr Osborne also said that the current requirement that says a new car must have its first MoT test three years after its initial registration could be extended by another year, offering it a four-year window. Car dealerships and garages, like all businesses, are fallible to the government's economic policies, which will impact their business and their customers. What remains constant, however, is the need for motor traders to obtain the right road risks insurance or motor trade insurance policy that will keep their business protected against hard-to-foresee incidents in the future. 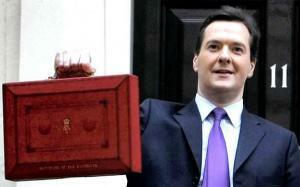 Mike Hawes, the chief executive of the Society of Motor Manufacturers & Traders, said that the Chancellor’s Budget announcement came as "considerable concern". He explained: "While we are pleased zero-emission cars will, on the whole, remain exempt from VED, the new regime will disincentivise take-up of low-emission vehicles. New technologies such as plug-in hybrid, the fastest-growing ultra-low emission vehicle segment, will not benefit from long-term VED incentive, threatening the ability of the UK and the UK automotive sector to meet ever-stricter CO2 targets."